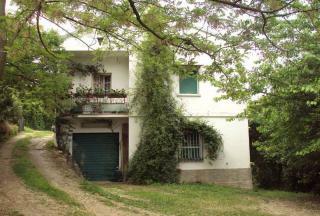 This FARMHOUSE is IMMEDIATELY HABITABLE and is located in the COUNTRYSIDE of CASTILENTI. 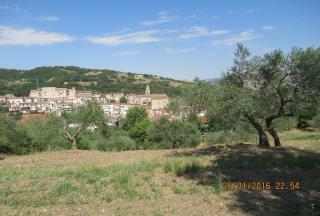 It has TWO BEDROOMS, TERRACE and LAND which is cultivated with OLIVE TREES. 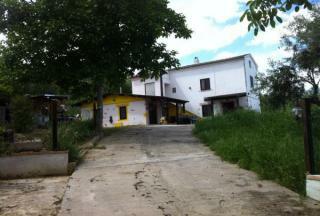 FARMHOUSE with THREE BEDROOMS and AGRICULTURAL LAND. 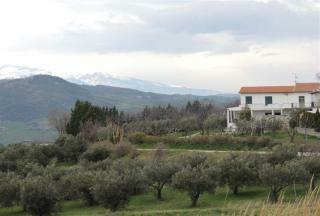 The property has BALCONIES, LOVELY VIEWS and an OLIVE GROVE. It needs RENOVATION but will provide an OPPORTUNITY for a SMALLHOLDING or COUNTRY RETREAT. An ATTRACTIVE, TWO BEDROOM, RUSTIC COTTAGE which requires TOTAL RESTORATION. It comes with a PLOT of ARABLE LAND, BALCONY and VIEWS to both the SEA and MOUNTAINS. It is only 10 KM to the RESORTS of the ADRIATIC COAST. 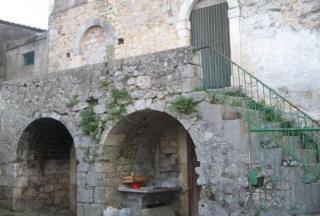 RESTORATION or REBUILDING PROJECT, located near the delightful TOWN of POLLUTRI and the ADRIATIC COAST. There is the possibility to EXTEND and the sale INCLUDES some LAND, cultivated with VINEYARDS. 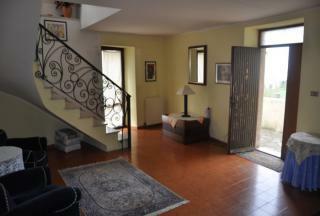 SPACIOUS, TWO BEDROOM, TOWNHOUSE in the HISTORICAL CENTRE of TORTORETO ALTO, CLOSE to AMENITIES. 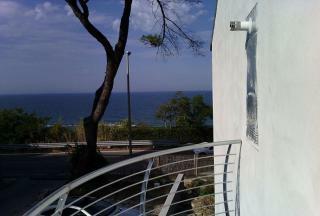 The property has BALCONY, TERRACES and SEA VIEWS. It is a SHORT DRIVE to the ADRIATIC COAST with fabulous BEACHES, CRYSTAL SEAS and a WIDE CHOICE of RESTAURANTS. TWO BEDROOM, ATTACHED HOUSE with 2,000 sq. metres of LAND. It is found in a TRANQUIL POSITION, just ONE KILOMETRE from the charming village of FRESAGRANDINARA and only TWENTY MINUTES to the ADRIATIC COAST. It comes with a large GARAGE and the FURNITURE is included. 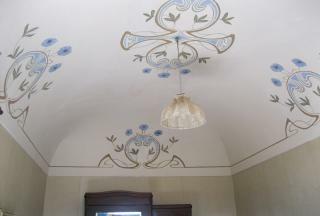 GRAND, ONE BEDROOM, APARTMENT with ORIGINAL FRESCOES, TERRACE and MOUNTAIN VIEWS. The property also has a LARGE BASEMENT with VAULTED CEILINGS. 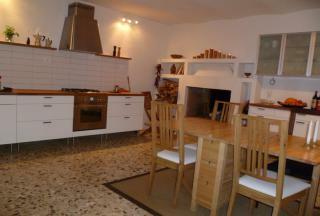 It is in the HISTORICAL TOWN of TOCCO DA CASAURIA, close to AMENITIES. RESTORATION PROJECT of a THREE BEDROOM, TOWNHOUSE in the HISTORIC TOWN of TORO. It BENEFITS from BALCONIES and a GARAGE. There are INTERESTING FEATURES which could be RESTORED and MAINTAINED to HIGHLIGHT its ORIGINAL GRANDEUR. All UTILITIES need REPLACING. RARE OPPORTUNITY to PURCHASE a TOWNHOUSE, with GARDEN, in an HISTORIC TOWN CENTRE. It COMES with TWO BEDROOMS and TERRACE. The property is IMMEDIATELY HABITABLE and is only a SHORT WALK to SHOPS and RESTAURANTS. Beautifully RENOVATED TOWNHOUSE with a wonderful FACADE of EXPOSED STONE. It has TWO BEDROOMS, BALCONIES and a COURTYARD with vines. There is also a large PANORAMIC TERRACE with 360 DEGREE VIEWS. The house is sold FURNISHED. RURAL HOUSE needing FULL RESTORATION. It is located on a PLOT OF LAND measuring 25,074 SQ. METRES, close to the VILLAGE of LUCITO. The land is CULTIVATED with OLIVE and FRUIT TREES. ATTRACTIVE VIEWS. TWO BEDROOM, COUNTRY HOUSE with STUNNING VIEWS. 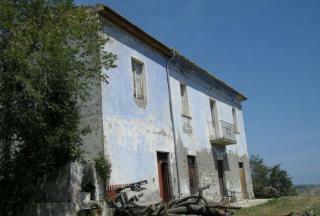 It needs some RENOVATION/UPDATING and COMES with LAND which has OLIVE TREES and VINEYARD. A fully UPDATED APARTMENT in a block of four in the COASTAL TOWN of Petacciato. It has TWO BEDROOMS, BALCONIES and comes FULLY FURNISHED. Only a few minutes to the beautiful beaches of the ADRIATIC. The perfect position for EXPLORING the COAST and CENTRAL ITALY. A delightful VILLA located in a TRANQUIL POSITION. It comes with TWO BEDROOMS and GARDEN. The ground floor has POTENTIAL to either CONVERT into a SEPARATE APARTMENT or, alternatively, MORE LIVING SPACE for the existing home. THREE BEDROOM, COUNTRY HOUSE discovered in a TRANQUIL POSITION near the much sought after TOWN of LORETO APRUTINO. It comes with GARDEN, BALCONIES, ANNEX and LAND which is cultivated with OLIVE TREES. The FURNITURE is included. Currently operated as a successful RENTAL BUSINESS. GROUND FLOOR, recently RESTORED APARTMENT with TWO BEDROOMS. It is in a GOOD LOCATION, close to AMENITIES. Large DETACHED FARMHOUSE with TERRACES, OUTBUILDINGS, GARAGE and superb mountain VIEWS. It comes with 2,000 sq. metres of LAND and has much POTENTIAL with its 15 ROOMS. 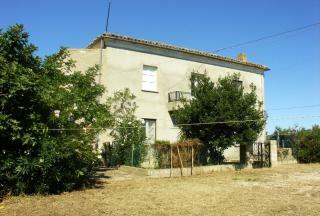 ANCIENT FARM just 100 METRES from the PRETTY TOWN of GUARDIALFIERA and WITHIN WALKING DISTANCE of AMENITIES. 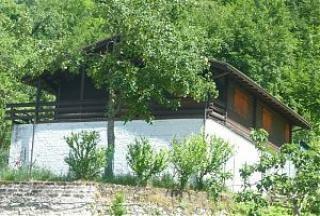 The HOUSE is in a PEACEFUL POSITION with PANORAMIC VIEWS to both the TOWN and LUSH, GREEN MOUNTAINS. It needs COMPLETE RESTORATION. An OPPORTUNITY to DEVELOP a SMALL HOLDING. RESTORED, SEMI-DETACHED TOWNHOUSE in the HISTORICAL CENTRE of ALANNO and within WALKING DISTANCE of SHOPS, BARS and RESTAURANTS. The property has COUNTRY and MOUNTAIN VIEWS and it is sold FULLY FURNISHED. 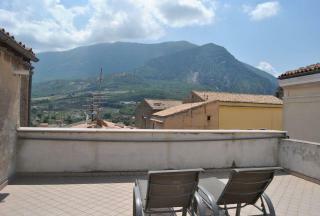 THREE BEDROOM APARTMENT in the HISTORICAL TOWN of PENNE. It is 140 SQ. METRES in SIZE and is on THREE LEVELS. It has a FABULOUS ROOF TERRACE for RELAXING in the Abruzzo SUN whilst enjoying the AMAZING VIEWS of the TOWN and SURROUNDING COUNTRYSIDE. IMMEDIATELY HABITABLE. RECENTLY RESTORED TOWNHOUSE in the HISTORIC heart of CRECCHIO, close to all AMENITIES. It comes with TWO BEDROOMS, LARGE PANORAMIC TERRACE and TWO BALCONIES. 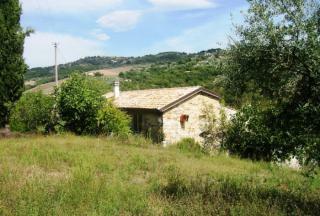 PRETTY, THREE BEDROOM FARMHOUSE located in the RESERVE of LAKE PENNE. It has a GARDEN and LAND, cultivated with FRUIT. It would make an EXCELLENT HOLIDAY HOME. 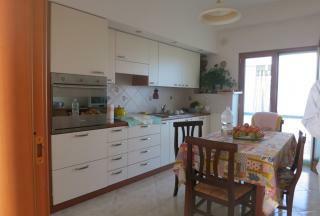 TWO BEDROOM APARTMENT in the ADRIATIC RESORT of ROSETO DEGLI ABRUZZI. It is IMMEDIATELY HABITABLE although it would BENEFIT from MODERNISATION/DECORATION. It is just 300 METRES from the BEACH and is CLOSE to SHOPS, PUBLIC TRANSPORT, BARS and RESTAURANTS. GOOD HOLIDAY HOME or RENTAL OPPORTUNITY. RESTORED, TWO BEDROOM, STONE TOWNHOUSE in the VILLAGE of ROCCACASALE, within WALKING DISTANCE of SHOPS, RESTAURANTS and BARS. Many of the BEAUTIFUL TRADITIONAL FEATURES were MAINTAINED during renovation. The property BENEFITS from a BALCONY and WONDERFUL VIEWS. TWO BEDROOM APARTMENT which is in EXCELLENT CONDITION. The property has a COURTYARD for AL FRESCO LIVING and is ideally located CLOSE to the AIRPORT, ADRIATIC COAST and SKI RESORT of Passo Lanciano. 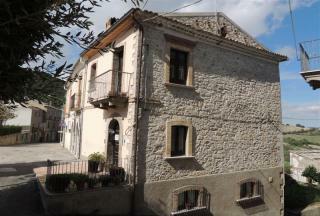 SEMI-DETACHED HOUSE in the HISTORIC CENTRE of CAMPLI. The property has been PARTIALLY RESTORED and maintains some ORIGINAL FEATURES. It also comes with a COURTYARD. When complete, it could accommodate THREE/FOUR BEDROOMS. A good PERMANENT or HOLIDAY HOME. 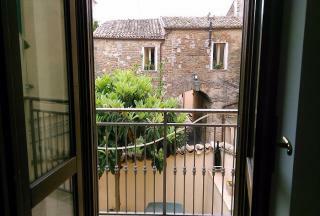 RESTORED, TWO BEDROOM, TOWNHOUSE in the HISTORIC CENTRE of SECINARO. 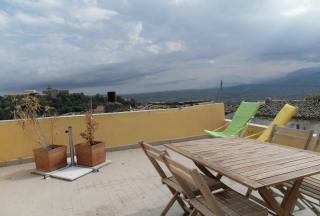 It has a ROOF TERRACE and FANTASTIC VIEWS. The sale INCLUDES FURNITURE. 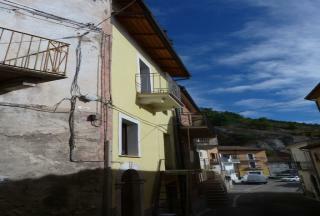 THREE BEDROOM, TOWNHOUSE which needs RESTORATION. 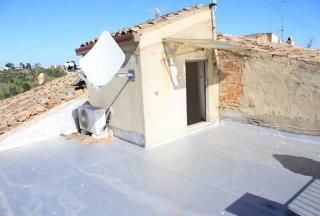 The property comes with a GARAGE, GARDEN, TERRACE, BALCONY and VIEWS. 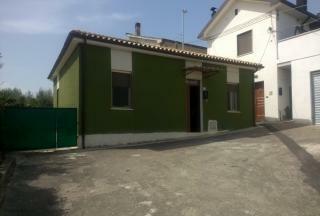 The house is IDEALLY LOCATED, CLOSE to the FACILITIES of PETACCIATO and within a SHORT DISTANCE of the ADRIATIC COAST. FOUR BEDROOM, STONE HOUSE which needs FULL RESTORATION and comes with LAND. It is located 1 KM from the CENTRE of RAPINO. There is an ADJACENT RUIN which could also be RESTORED. Good OPPORTUNITY to DESIGN a HOME to your OWN STYLE. 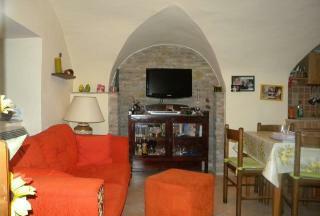 THREE BEDROOM, HISTORICAL APARTMENT in a PALLAZINA, built in 1612. The original DOOR opens onto one of the MAIN STREETS of Penne just SECONDS from RESTAURANTS and SHOPS, The apartment is completely PRIVATE and has a SMALL BALCONY. It is HABITABLE but would BENEFIT from DECORATION and MODERNISATION. NEW, TWO BEDROOM, SEA FRONT, APARTMENTS in SAN VITO CHIETINO. EACH APARTMENT comes with EITHER a TERRACE or GARDEN. The town with all its lovely FISH RESTAURANTS, BARS and COFFEE SHOPS is 1 KM AWAY and the BEACH is JUST OVER the ROAD. STUNNING SEA VIEWS. Ideal for a HOLIDAY HOME. DELIGHTFUL TOWNHOUSE with FIVE BEDROOMS and TWO LARGE TERRACES. It is in the CENTRE of GAGLIANO ATERNO. The TRADITIONAL FEATURES were maintained in the RESTORATION process. An IDEAL FAMILY HOME. 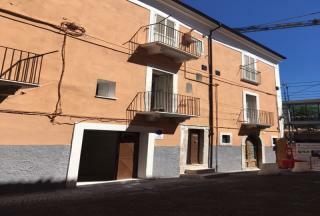 THREE BEDROOM, APARTMENT is LOCATED in the HISTORIC CENTRE of SULMONA. It is just a SHORT STROLL to EXCEPTIONAL RESTAURANTS and CHARMING SHOPS. 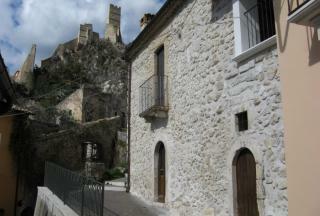 It could be a WONDERFUL HOME in one of ABRUZZO'S most BEAUTIFUL CITIES. 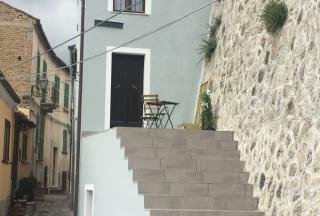 PRETTY, TWO BEDROOM, TOWNHOUSE located in the DELIGHTFUL VILLAGE of INTRODACQUA, close to AMENITIES. The property comes with a cosy FIREPLACE, BALCONY and COURTYARD. TWO BEDROOM, TOWNHOUSE which has been TOTALLY RESTORED and is IMMEDIATELY HABITABLE. 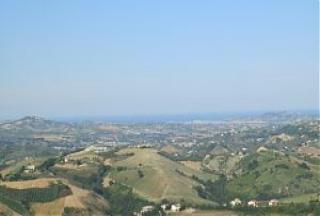 It is located CLOSE to the AIRPORT, PESCARA TOWN and the BEAUTIFUL BEACHES of the ADRIATIC. 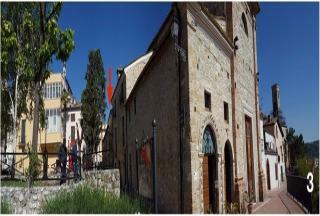 TWO BEDROOM APARTMENT located in the HISTORICAL CENTRE of PENNE, within a SHORT STROLL of RESTAURANTS and SHOPS. It is HABITABLE but would BENEFIT from some MODERNISATION. PRETTY VIEWS from the WINDOWS. 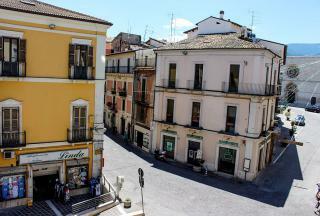 TWO BEDROOM, APARTMENT located in the HISTORIC HEART of SULMONA. It is a FIVE MINUTES' LEISURELY STROLL to the famous PIAZZA GIUSEPPE GARIBALDI, SHOPS and RESTAURANTS. The property comes with a GARAGE. 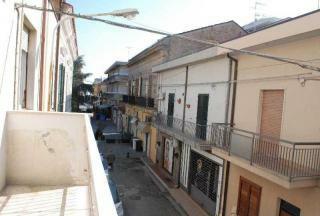 TWO BEDROOM, SEMI-DETACHED HOUSE in the HISTORICAL CENTRE of SILVI PAESE. The property is IMMEDIATELY HABITABLE and has ATTRACTIVE VAULTED CEILINGS. Its PROXIMITY to the COAST makes it an EXCELLENT HOLIDAY BOLTHOLE. 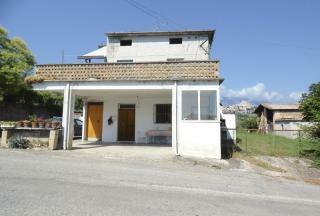 PARTLY RENOVATED, THREE BEDROOM, COUNTRY HOUSE surrounded by LAND. It NESTLES in the NATURAL BEAUTY of the GRAN SASSO and MONTI DELLA LAGA NATIONAL PARK. Although HABITABLE, the property NEEDS FINISHING but has the POTENTIAL to become an ATTRACTIVE HOME. 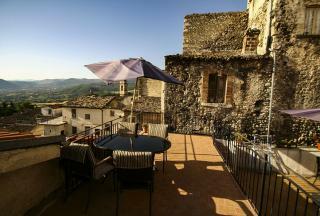 TWO BEDROOM, TOWNHOUSE in the pretty VILLAGE of ROCCACASALE. 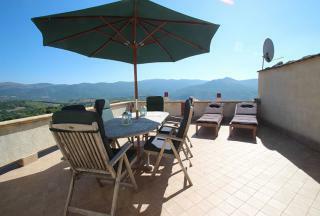 The property is RENOVATED and has a BALONY, TERRACE and WONDERFUL VIEWS. There is the POTENTIAL to CREATE a GARAGE or EXTRA LIVING SPACE on the GROUND FLOOR. An ADJOINING PROPERTY that NEEDS RESTORATION is also INCLUDED in the SALE. SYMPATHETICALLY RESTORED, former OLIVE PRESS which has been converted into a lovely THREE BEDROOM APARTMENT with two LARGE TERRACES. 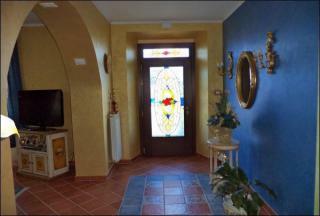 It has wonderful SEA and MOUNTAIN VIEWS and has EASY ACCESS to the AIRPORT and ADRIATIC COAST. SPECIAL PRICE and VIEWING is HIGHLY RECOMMENDED. 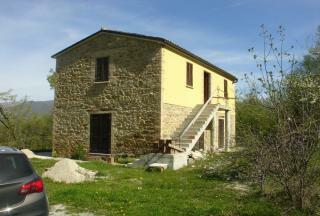 PARTIALLY RESTORED, OLD STONE, HOUSE which is in a TRANQUIL, COUNTRYSIDE, POSITION. Many of the ORIGINAL FEATURES have been INCORPORATED into the DESIGN. It has FABULOUS VIEWS and BENEFITS from LAND, with the possibility to PURCHASE MORE. 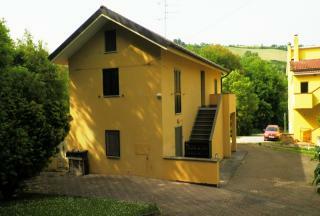 DETACHED HOUSE located in the COUNTRYSIDE of SCERNI, JUST 15 MINS from the ADRIATIC COAST. It comes with TWO BEDROOMS, SUN TERRACE, GARDEN, GARAGE and OUTBUILDINGS. The property NEEDS RENOVATION work to CREATE a COMFORTABLE HOME with MODERN FACILITIES. DELIGHTFUL, TWO BEDROOM TOWNHOUSE, located in the much SOUGHT AFTER TOWN of LORETO APRUTINO. The property has been SYMPATHETICALLY RESTORED to maintain its TRADITIONAL FEATURES and comes with BALCONY and LOVELY VIEWS. Great HOLIDAY or PERMANENT HOME, close to all AMENITIES. TWO BEDROOM, COUNTRY HOUSE, surrounded by 4,500 SQ. MTRS of LAND. It is IMMEDIATELY HABITABLE and comes with a GARAGE and BALCONY. The property is CLOSE to the PRETTY TOWN of VACRI with its SHOPS, BARS and RESTAURANTS. 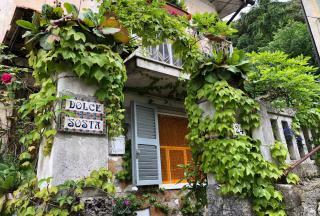 ATTRACTIVE HOUSE located in the CENTRE of DOGLIOLA, near the large town of VASTO and RESORTS of the ADRIATIC. 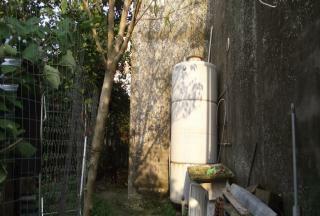 It has TWO BEDROOMS, NEARBY GARDEN and is IMMEDIATELY HABITABLE. Price INCLUDES FURNITURE. 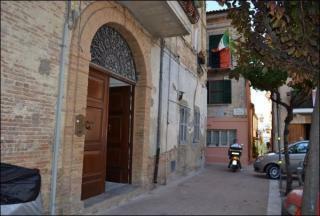 THREE BEDROOM, RESTORED TOWNHOUSE which is LOCATED in the HISTORICAL HEART of ROCCAMORICE. The property has a LARGE TERRACE with AMAZING MOUNTAIN VIEWS and inside there are MANY BEAUTIFUL FEATURES which were MAINTAINED during the RENOVATION. PERFECT SPOT for LOVERS of NATURE and OUTDOOR ACTIVITIES. 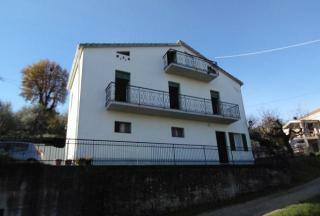 TWO BEDROOM DETACHED HOUSE nestling in the COUNTRYSIDE, close to the HISTORIC TOWN of LORETO APRUTINO. Although HABITABLE, the ground floor can be restored to CREATE ADDITIONAL LIVING SPACE. The property has a GARAGE and LAND. Excellent value. HISTORIC, TOWNHOUSE divided into TWO APARTMENTS, EACH with TWO BEDROOMS. 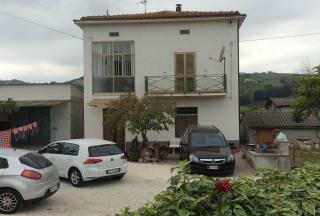 It is located in the much SOUGHT AFTER TOWN of PENNE, close to all SHOPS and RESTAURANTS. It is in GOOD CONDITION and BENEFITS from a lovely TERRACE with great SEA VIEWS. Good RENTAL OPPORTUNITY.